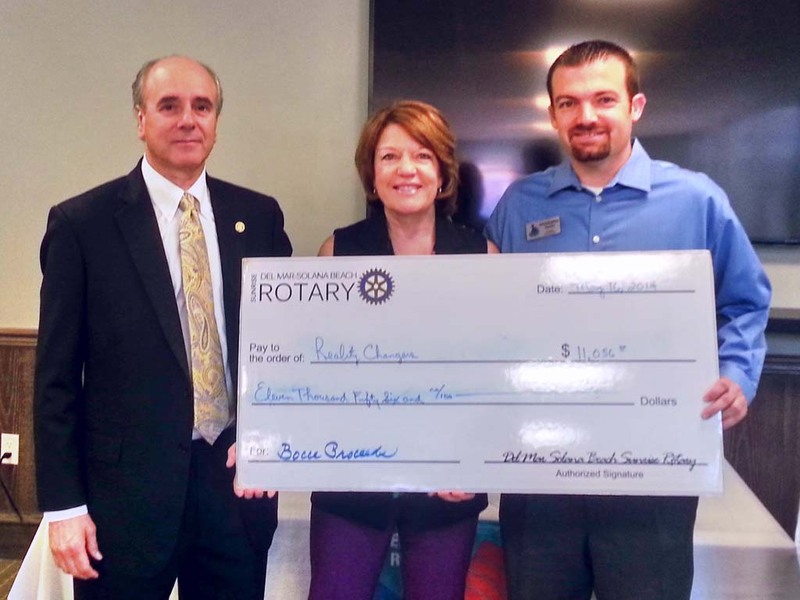 REGION — At its May 16 meeting, Del Mar-Solana Beach Rotary presented Christopher Yanov, founder and president of Reality Changers, with an $11,056 check for the program that provides after-school academic support, financial assistance and leadership training for youth from disadvantaged backgrounds in San Diego. Reality Changers was one of two major beneficiaries of the Rotary Turf Bocce Tournament held at the Del Mar Horsepark in late March. A number of Realty Changers’ staff and students attended the tournament, both to meet the participants and to assist in the tournament. After thanking the Rotary Club for its support, Yanov announced that five of their students had recently won full Gates Millennium Scholarships this year. These scholarships from the Gates Foundation cover all college expenses through a PhD and provide increased opportunities for outstanding minority students with significant financial need. At this same meeting, Steve Binder, from the county’s Public Defender’s Office, spoke to Rotarians and guests about Homeless Court, a program that he started for homeless veterans 25 years ago as part of a service fair called Stand Down. The Rotary Club hands out roughly 7,000 bottles of cold water to homeless veterans and volunteers at Stand Down in July of each year. 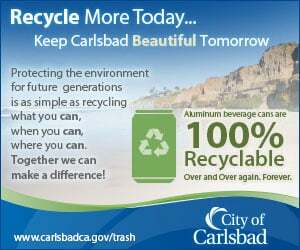 For more information, call Richard Fogg at (858) 693-7556 or Diane Huckabee at (619) 818-0528) or visit DMSBRotary.com.